The amount of time public-school kids spend learning about government and civics is shrinking. The most obvious and well-reported casualties of the last decade in program-slashing educational policy include traditional elective courses like art, music, and physical education. But these are not the only subjects being squeezed out or eliminated entirely from many public K-12 curriculums. Social studies--a category that includes courses in history, geography, and civics--has also found itself on the chopping block. Whereas in the 1993-1994 school year students spent 9.5 percent of their time in social studies, by 2003-2004 that percentage had dropped to 7.6, despite an increase of total instructional time. Why has a traditionally “core subject”, which was ranked in the same academic hierarchy as English, science, and math for decades, been sidelined in thousands of American classrooms? The shift in curriculum began in the early years of the Cold War. While U.S. military and technological innovation brought World War II to a close, it was a later use of technology--the Soviet launching of Sputnik in 1957--that historian Thomas A. Bailey called the equivalent of a “psychological Pearl Harbor” for many Americans. It created deep feelings of inadequacy and a belief that the U.S. was falling behind in developing new technology and weapons, which led to the passage of the 1958 National Defense Education Act. This legislation pumped $1 billion over four years into math and science programs in both K-12 schools and universities. Despite this extra focus on math and science, social studies managed to make it through the end of the Cold War relatively unscathed (in fact, the number of classroom hours dedicated to teaching social studies in grades 1-4 peaked in the 1993-1994 school year at 3 hours a week). But drastic change came a decade later with the passage of President George W. Bush’s No Child Left Behind legislation. No Child Left Behind was signed into law in an attempt to address the growing achievement gap between affluent and low-income students. It was a controversial piece of legislation from the start, mainly because of its “one size fits all’” approach: It uses annual standardized tests to determine how well students are performing in reading and math and then uses those scores to determine the amounts of federal funding schools receive. Besides the obvious criticism that low-performing schools--arguably the ones that need the most increase in funding--are disproportionally punished for their low scores, critics also believe that No Child Left Behind has narrowed the curriculum. Since the standardized tests focus exclusively on English and math, and those scores determine the bulk of a school’s federal funding, schools have been forced to increase time and resources in these subjects at the expense of all others, including social studies. A 2007 study from the Center of Education Policy supports this allegation: 62 percent of elementary schools, and more than 20 percent of middle schools, increased time for English language arts and/or math since No Child Left Behind passed. At the same time, 36 percent of schools decreased the time allocated to the social studies. According to a study from the National Center for Education Statistics, this adds up to a net loss of four weeks of social studies instruction per academic year. This devaluation of social studies as a core subject in the K-12 curriculum has troubling economic, political, and social implications. For one, social studies at all grade levels encourages students to develop skills in critical thinking--one of the top traits employers look for in a candidate. It also requires students become strong written and oral communicators who know how to structure and articulate their opinions. Unfortunately, a survey of employers done by the Chronicle of Higher Education found that these are the exact skills today’s entry-level workers are lacking. Without the skills gained from social studies, students are less attractive to employers. Perhaps even more troubling, however, is that reducing students’ exposure to a solid curriculum in social studies leads to what a growing number of experts are calling a “civic achievement gap”. Closely related to the general achievement gap between affluent, mostly white students and low-income minority students, the civic achievement gap has made it increasingly difficult for those who grow up in low-income households to participate in civic affairs. According to data from Associate Professor Meira Levinson of Harvard University, people living in families with incomes under $15,000 voted at just over half the rate of those living in families with incomes over $75,000. While the Obama Administration has pledged to revisit certain components of No Child Left Behind, it has kept its fundamental model of high-stakes standardized testing with new programs such as Race to the Top and the Common Core State Standard Initiative. Like No Child Left Behind, both of these programs focus primarily on English and math--there are still no Common Core standards for social studies. Unlike No Child Left Behind, however, they are voluntary, giving states and individual schools more flexibility as to how to incorporate them into their curriculums. 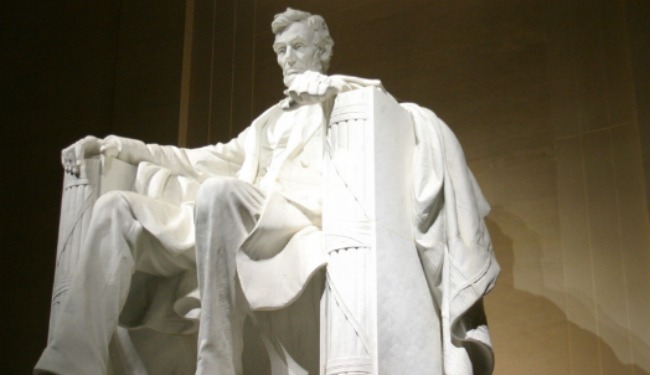 It’s clear that something has to change when only one-third of Americans can name all three branches of government; when only 23 percent know the First Amendment supports freedom of religion; and when students think President Abraham Lincoln’s significance can be traced back to his beard. Social studies should reclaim its spot as one of the core subjects in the K-12 curriculum. Jen Kalaidis is a marketing professional and freelance writer based in New York City.